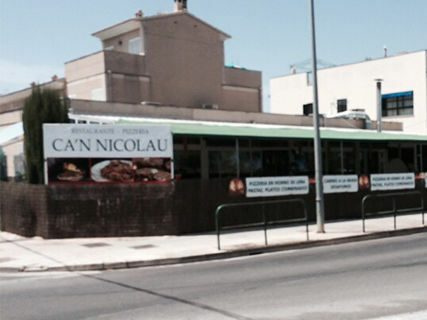 Located near the beach and in a quiet area of easy parking, Restaurant Ca'n Nicolau opens its doors to offer the best grilled meat in the area and its famous pizzas from the wood oven. It offers both take-out service. If you're in the area, do not hesitate to visit us, you will not regret!